My Very First Blog: My Very First Jollibee Burger! Ask anyone to name a fast food restaurant and he or she will most probably say "McDonald's". Ask the same question in Philippines and you might be surprised. Because the answer is not the world's largest fast food organization but "Jollibee". OK, I have to admit that before I went to Manila for my holidays, I had never in my life heard of the word "Jollibee". Until a friend who had been there told me about it and insisted that I try the Jollibee Burger. Now I am not a very big fan of burgers. Heck! I don't even eat McDonald's burgers if I can help it. They tasted plastic-ky and highly processed to me! On rare occasions, I would eat McDonald's Big Mac and Egg McMuffin. And most of the time, I go to McDonald's just for its sundae ice cream! So when my friend told me about this particular burger that I must try in Manila, I wasn't too enthusiastic about it. But I knew I had to try it or else I would regret it later. After spending close to 3 hours walking and shopping in Robinsons Place Manila, I was hungry. I had forgotten all about dinner! On my way back to Lotus Garden Hotel where I stayed, I passed by Jollibee Restaurant and decided to have my dinner there. Now you might wonder why it's called Jollibee. Anything to do with bees? Yes, in fact the Jollibee mascot looks like this! Sure looks like a very jolly bee to me! No wonder it's called Jollibee! Haha! Now compared to Ronald McDonald and you will know why Filipino kids prefer Jollibee! Haha! 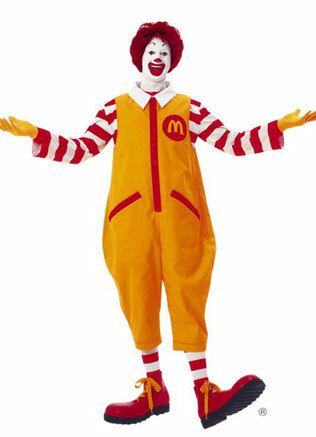 In fact, when I was smaller, I found Ronald rather scary! Clowns are always scary - why would anyone even think they are funny? LOL! When I looked at the menu at the ordering counter, I could not help but smile at the names given to the food. Jollibee's most popular items are their beef burger by the name of Yumburger and fried crispy chicken called Chickenjoy. Yummy burger and Joyful chickens - what jolly names! Haha! I initially wanted to order the Yumburger but decided to order something larger instead as I was hungry! 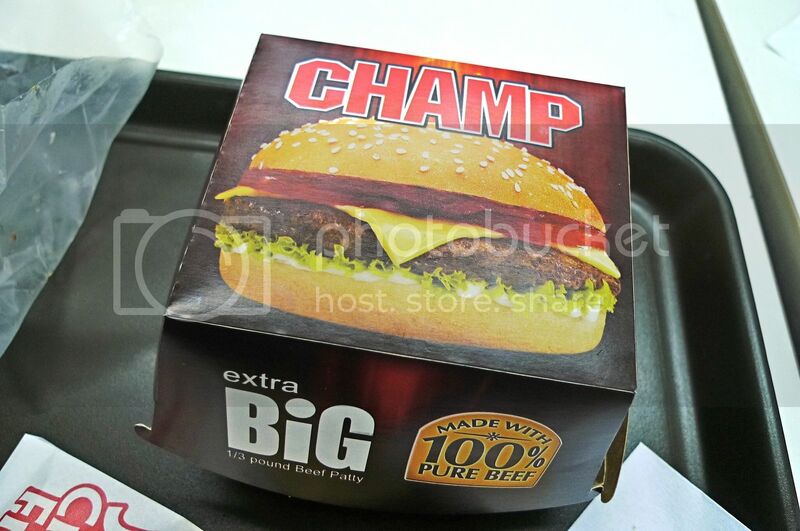 I went for Champ, a beef burger something along the lines of a McDonald's Big Mac. I ordered the Champ set which consists of the Champ burger, fries and Coke. Honestly, the fries were not as good as McDonald's. I still think McDonald's has the best fries among all fast food restaurants! 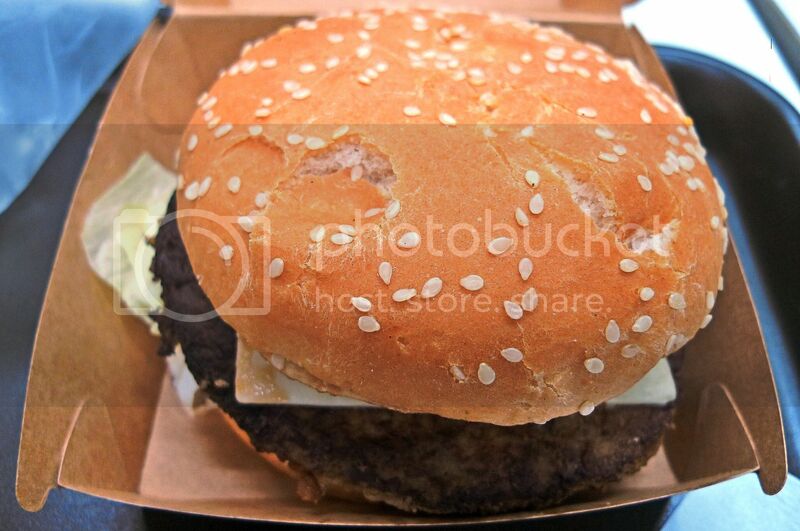 This is how my Champ beef burger looks like. Not impressive right? Nothing outstanding or particularly interesting. 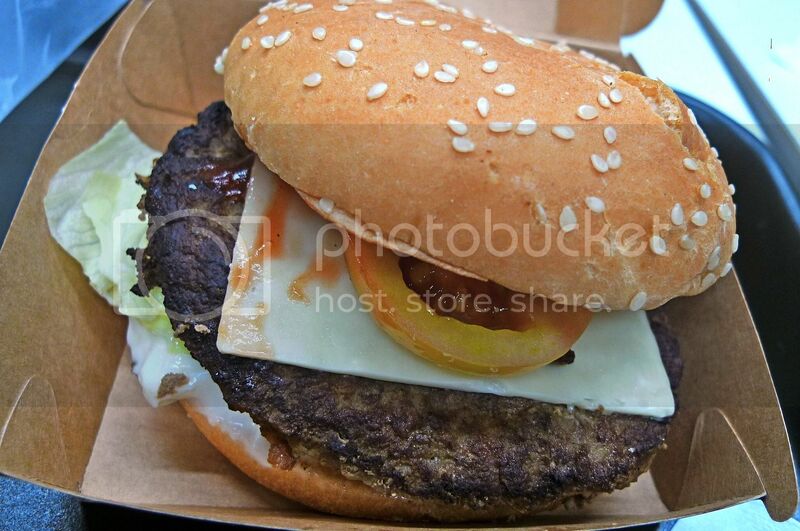 Wait, let me move the buns to show a bit more of the beef patty, cheese and vegetables. I took a bite. Never judge a book by its cover is so true here. It actually tasted much better than it looks! My verdict? I love it! I am not sure whether it's the beef patty or the sauce, but I think it tasted better than McDonald's Big Mac! Amazingly, while McDonald's seems to be the world leader in the fast food industry with more than 31,000 outlets in more than 100 countries, Jollibee has already overtaken McDonald's in the Philippines with over 600 outlets, capturing more than half of the fast food market there and achieving twice McDonald's sales in the country! 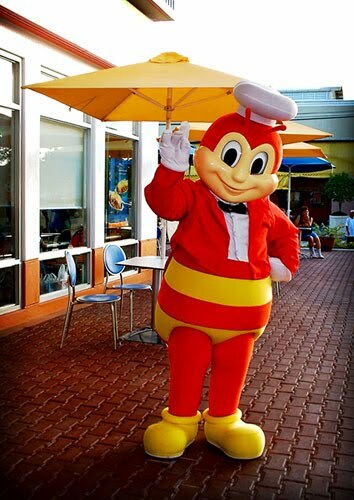 Founded by Tony Tan Caktiong, Jollibee is now a household name and a true success story in Philippines. 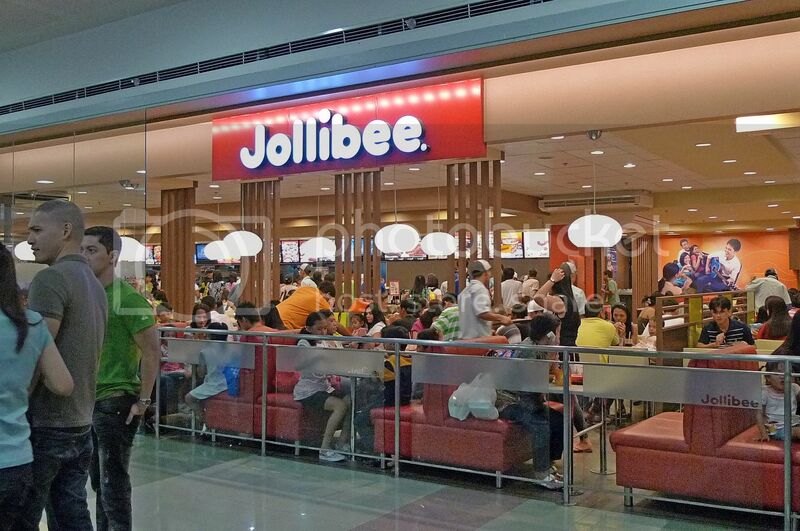 If you are interested to know more about the interesting history of Jollibee, read HERE. Oh, I just found out from Wikipedia that Jollibee Food Corporation, the parent company of Jollibee, also owns ChowKing and Red Ribbon, both of which I had the opportunity to dine in while in Manila. I will blog about these two restaurants in future posts.